I work in a planning department at an English university so I'm duty bound to blog today on the new National Planning Policy Framework for England. 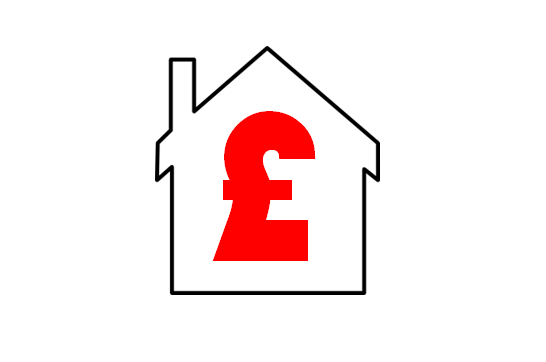 It might sound a bit boring but it's likely to have significant implications for the built environment for years to come and it represents the biggest change to the planning system in England in a generation (or more). What are the main changes? Well, much has been made of the reduction of planning policy guidance from more than 1,000 pages to around 50. 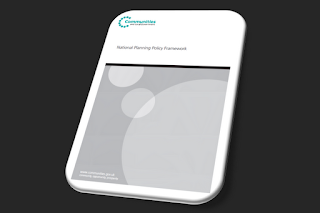 That's one of the most obvious changes and there is certainly a good deal of simplification associated with the NPPF. 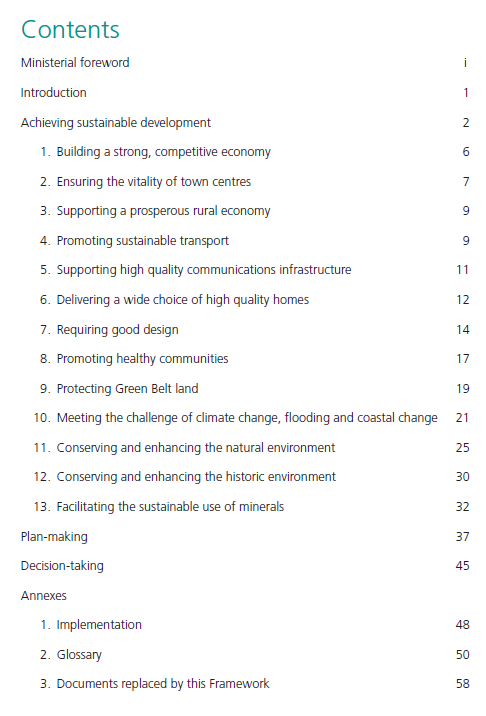 It has 13 main sections (image below), from 'Building a strong, competitive economy' to 'Facilitating the sustainable use of minerals'. It also covers 'Protecting Green Belt land', which is something I've written about recently on this blog in relation to data. "The purpose of the planning system is to contribute to the achievement of sustainable development. 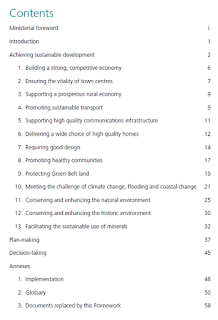 The policies in paragraphs 18 to 219, taken as a whole, constitute the Government's view of what sustainable development in England means in practice for the planning system." Paragraphs 18 to 219. That's quite a lot, but I didn't really expect it to be defined, given the inherent difficulties associated with defining it. To be fair, the Government could not really be expected to define this but it does seem strange that their view of the core principle of the NPPF cannot be articulated in fewer than 200 paragraphs. 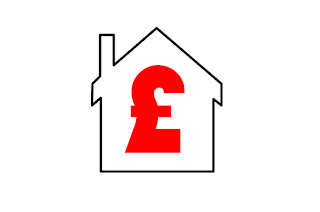 But, NDOs and Community Right to Build Orders 'require the support of the local community through a referendum' (p. 47). A final point of reminder here - the NPPF applies to England and not the whole of the UK. By my calculations, this area is 1.88 square miles in size (1,202 acres / 486 hectares) and has a perimeter of 6.47 miles. So, it's quite a big area and bigger than the City of London. It includes parts of the London Boroughs of Waltham Forest, Hackney, Newham and Tower Hamlets and the area has been described (in October 2011) as 'London's single most important regeneration project for the next 25 years'. The name of the corporation is to be the London Legacy Development Corporation, as outlined in this letter. This is also an example of the Localism Act in action. I found it quite interesting exploring this area, looking at what is included and (more interestingly) what is not. I hope you find it useful.